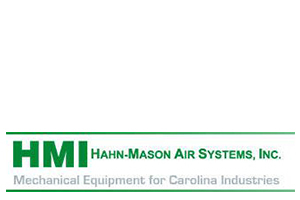 Hahn-Mason Air Systems, Inc. is the manufacturers’ representative that serves both the commercial and industrial HVAC marketplace within the Carolinas and beyond. In 1952, the original Founders developed an exceptional reputation for providing high-quality equipment with superior customer service. That reputation continues at HMI today. Let us be your air systems supplier. Hahn-Mason represents the products of quality manufacturers. The product types range from grilles and diffusers, to VAV terminal units, sheet metal products, and specialty air handling equipment. In addition, HMI provides industrial fans, as well as laboratory and critical airflow controls. Our sales engineers and support staff are equipped to handle all of your heating, cooling, and ventilation needs.